Available in modular blocks of 16, 24, 32, 40, and 48 Mic/Line Input Channels. All versions include 4 Stereo Line input channels with Split Track capabilities. Pad and Polarity Reverse switches. 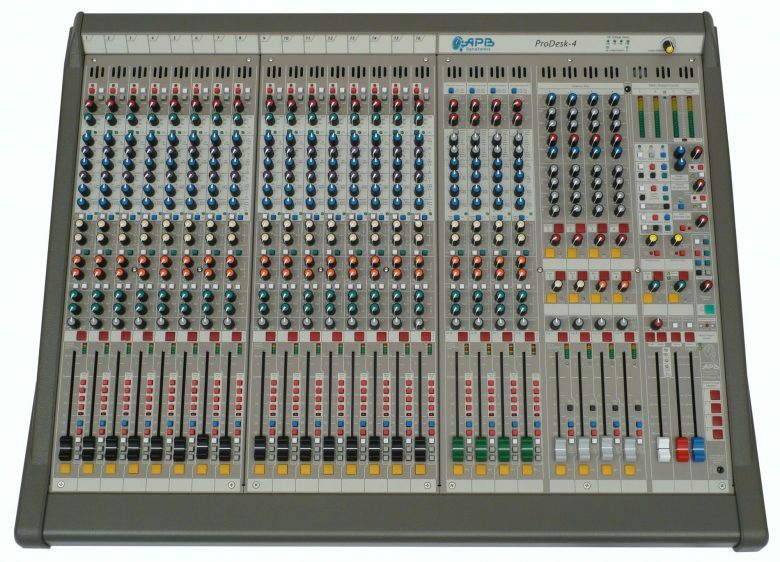 6 Auxiliary sends are switchable pre/post fader in pairs and pre/post EQ as a pre fader group and include 1 pair of auxiliary sends that are switchable between mono and stereo operation. 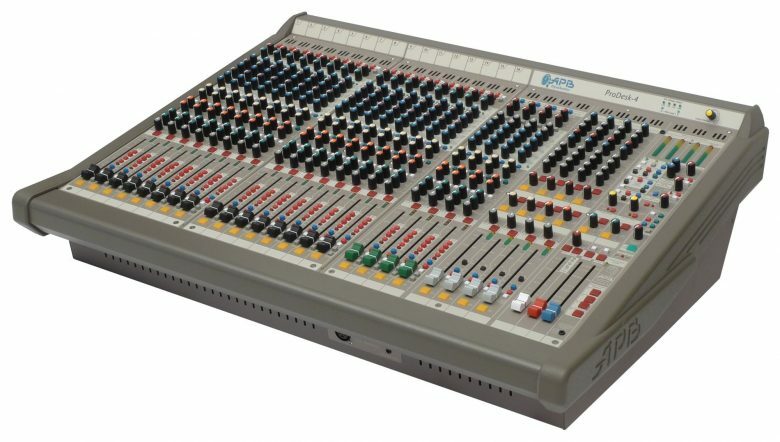 4 band EQ with sweepable mid-frequencies with a 1 octave bandwidth and EQ On switch with LED, Variable High pass filters with a 20Hz-400Hz with On switch with LED. TRS pre fader insert points, and TRS Balanced bus inputs. Digital USB Stereo Input and Record Output. Four (4) channel mute group system with individual channel mute group active indicators. Remote muting of all primary outputs using a single opto-isolated Phoenix connector and may be configured to respond to an external open or closed (relay) circuit. Internally illuminated PFL, AFL, and Mute indicators on all input and primary output channels. Spectra derived construction includes the use of mother and daughter board construction for easy service and uncompromised performance. Low phase shift and extended bandwidth design. Plug in Power Supply (same unit as used on Spectra Consoles) for ultra reliability. An optional redundant power supply can be added to all but the 16 mono input chassis systems. 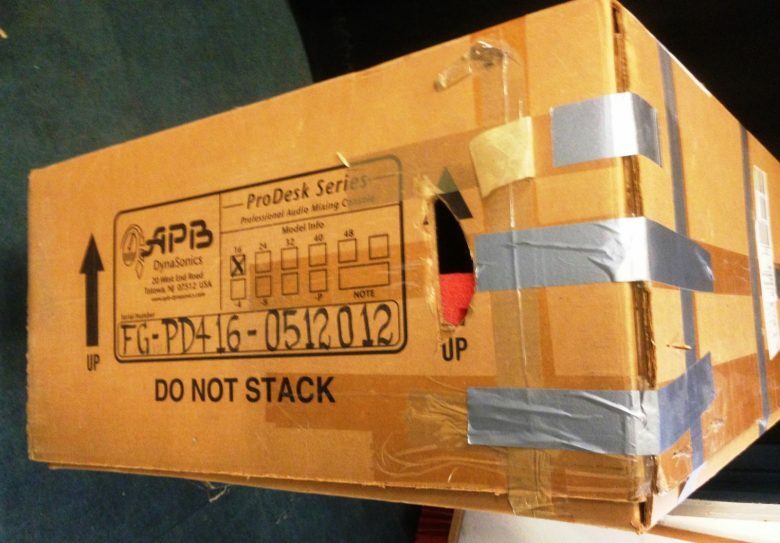 A console cover is supplied with all models of ProDesk-4. Depth: 23.5″ Max Height: 8.9″ (without optional lamps).